It’s that time of year where we look back on what we have and haven’t accomplished and decide what to tackle in the second half of the year. For many, wealth building and debt reduction will be among the top goals for the year. If eliminating some of your debt while simultaneously improving other parts of your financial life are among your goals, this post is for you. It’s time to take back control and kick your debt to the curb. It can sound like paying off large amounts of debt in a short period of time is impossible – but it’s not! 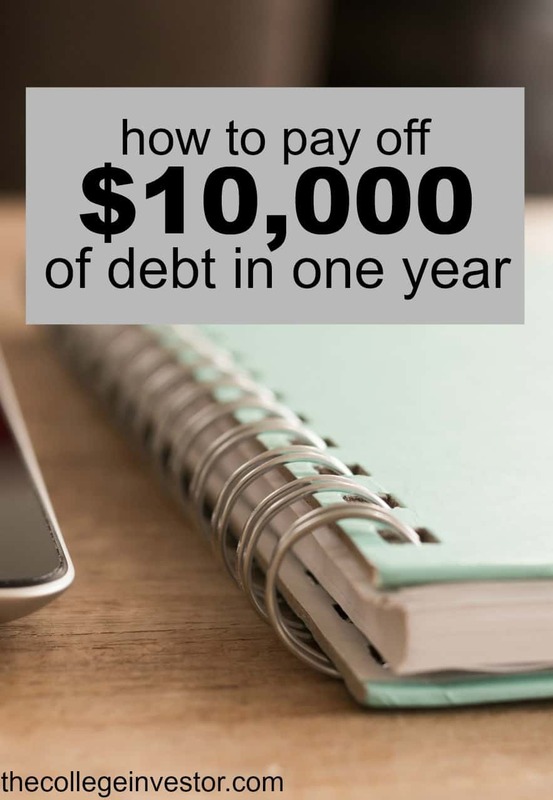 You can even pay off $10,000 in debt in just one year. Whether you have student loan debt or credit card debt, there are options. 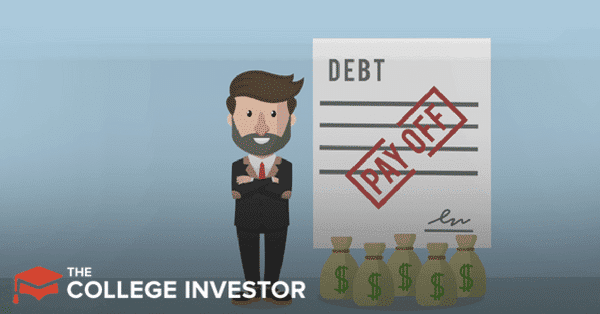 Here’s how you can pay off $10,000 in debt in one year. The first step in any good debt pay-off plan is knowing how much money you need to come up with in order to meet your goal. Saying that you’re going to pay off $10,000 in debt in one year isn’t good enough. You need to breakdown that number so that you can hit smaller milestones. The simplest way to make this calculation is to divide $10,000 by 12. This would mean you need to pay $833 per month to have contributed your goal amount to your debt pay-off plan. This number, though, doesn’t factor in the interest on your debt. If you want to see the impact of interest and how much you can save by accelerating your debt pay off plan you can use a debt calculator like the one provided by BankRate. 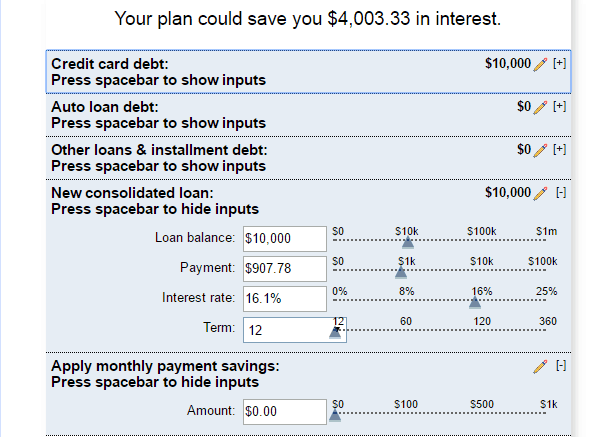 In the example below we’re assuming a $10,000 credit card balance at a 16% interest rate. In order to pay the balance off in one year payments of $907 per would be needed which would save over $4,000 in interest – a huge savings! You can use this calculator to tally up all of your current debts and see what you could save with an accelerated debt pay-off plan. If you only have one debt you don’t need to worry about coming up with a strategy. (Other than how much your monthly payments will be, of course.) You can simply choose to automate your payments and consider yourself done. However, if you’re working with multiple debts you’ll have to determine in what order you’d like to pay those off. There are two popular strategies for doing this: the debt snowball and the debt avalanche. Debt Snowball Method – With this method you’ll list your debts from smallest balance to largest balance and work on paying off the smallest balance while making minimum payments on everything else. Once the smallest balance is paid off you move on to the next smallest while still meeting all other minimum payments. Debt Avalanche – With this method you list all of your debts from highest interest rate to lowest interest rate. You then focus on putting all of your extra money toward your highest interest rate while making minimum payments on the rest. There’s a lot of debate over which method you should use and there is NO right answer. The debt snowball method is a great option if you like quick wins and want to eliminate smaller bills. The debt avalanche method is great if you’re focused on saving the most money in interest. Once you pick your strategy you should also consider how often you’ll make extra payments and whether or not to automate your plan. At a glance, paying off $10,000 in a year can seem like a huge number. However, once broken down coming up with the extra money isn’t as hard as it seems. If you’re serious about getting rid of your debt one of the first places you should look is your current spending. There are always ways to stretch more out of a budget with minimal effort. Monitor Your Spending – It’s impossible to know where to cut back if you don’t know where you’re spending. You can sign up with a service like Personal Capital for free. Personal Capital will automatically monitor and categorize your spending after you link your bank accounts. Participate in Uber Frugal Month – Cutting back on spending has just as much to do with mindset as it does with actual needs. Early retirees Mr. and Mrs. Frugalwoods have had immense financial success through practicing frugality and without feeling deprived. In January they are hosting an Uber Frugal challenge for a month. This challenge can help you lower your costs and discover alternative ways of utilizing your money. Easily Save an Extra $500 per Month – It’s very likely that you are needlessly spending money without realizing it! This post breaks down fifteen simple ways you can squeeze an extra $500 out of your budget each month. If all of these ideas are applicable to your situation you’ll free up $7,000 over the course of the year. Budget for Your Personality – One of the biggest mistakes new budgeters make is trying to adopt a system that doesn’t fit their personality and that they won’t stick with. The trick to making a budget work is finding a way to make it a regular part of your life. This post will breakdown different ways you can create a budget that works for you. While it’s always a good idea to trim away the fluff in your budget it’s also important to look for ways to earn more if needed. Depending on how much extra money you need you may be able to get by with putting in a couple hours per week overtime or you could start a side hustle to earn more. Earning more money is a perfectly viable option for the majority of the U.S. population. You can look at some of the hundreds of different ideas already listed on this blog. This was one of the most important strategies for myself when it came to paying off my student loan debt. I was able to earn an extra $2,000 per month by selling stuff on eBay and starting this blog. Paying off $10k in a one year is not an easy feat. It will take hard work and you’ll probably have to recommit to your goal a few times. One of the best ways to keep yourself motivated is to continually track your progress and celebrate the small wins. When things get hard don’t give up. In a year from now you’ll be thanking yourself for sticking with the plan! Watch this blog post on our YouTube channel with extra reader Q&A. Looking for more ways to improve your finances? Check out these 21 tips to overhaul your finances in the New Year. Thanks for this information. Never considered bteaking debt into 12 month payments. About to get started on this today! Love it! Come back and share your results, we love to hear about your success.